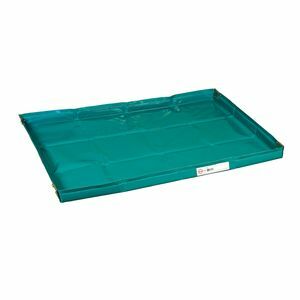 Multi-Purpose Spill Containment Sumps of RAW made from premium grade polyester with a PVC surface are particularly tearproof and repel dirt. 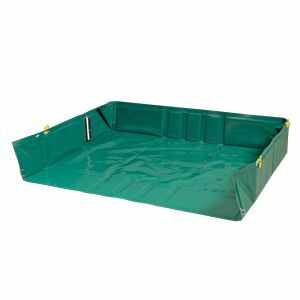 Once it is unfolded, the pool transforms, in a few simple steps, into a very stable collapsible sump; if leaks or overflows should occur, the sump can reliably contain them. 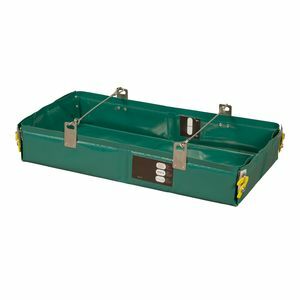 ​Thanks to the build-in steel ropes, the sumps filled with liquids or solid substances can be transported without any problems. 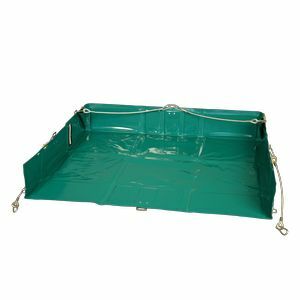 But the spill sumps are able to perform much more: they can be used versatilely as an extremely tough groundsheet or as a Cargo Spill Sump. 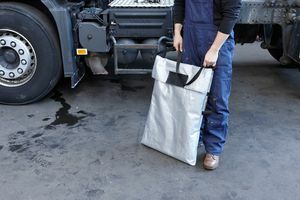 ​Liquid chemicals – particularly liquid hazardous materials – present a potential risk for people and the environment and therefore require special security precautions. 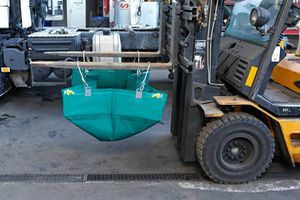 This applies especially when they are transported or used outside secure sites intended for this purpose: if a leak occurs and such products end up, for example, in the environment, extensive and expensive measures must often be taken to collect these liquids and to avert further damage. 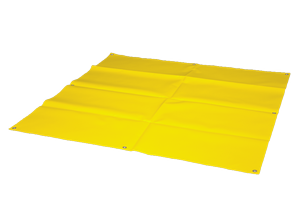 Multi-Purpose Spill Containment Sumps of RAW have been specially designed for mobile use. 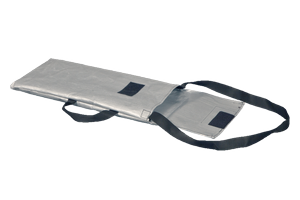 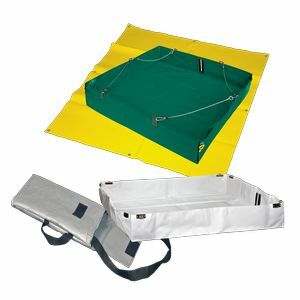 They are very light, they offer a small pack size when folded up, fit into special transport bags and can easily be carried by one person. 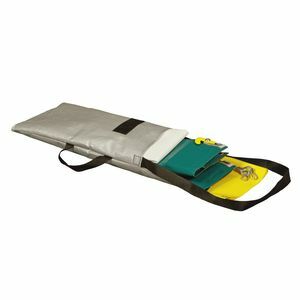 When needed, they are ready for use within just a few minutes and they capture liquid hazardous materials in a safe way. 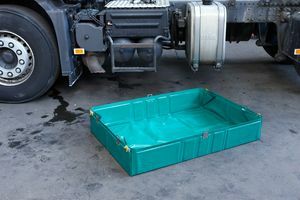 All sumps are made from very tearproof polyester with a PVC surface repelling dirt and are resistant to a wide range of liquid chemicals, especially operating fluids, such as heating oil, diesel, hydraulic oil, gasoline, etc. 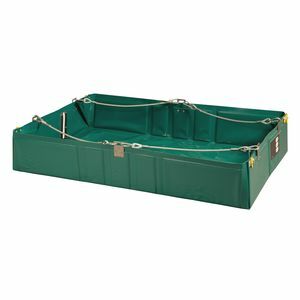 Liquid hazardous materials can be temporarily secured in the foldable spill sumps and transported over short distances. 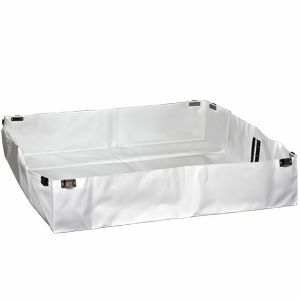 Note: Custom-made designs (colours, sizes) are possible. 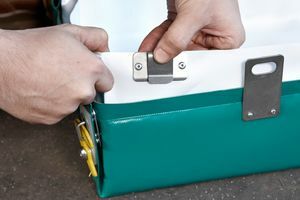 ​Fields of application: In the mobile area where liquids may have to be secured and caught, for example in the sectors of industry, transport and logistics, hunting and fishing, agriculture and forestry, construction, airports and ports, military, civil protection, etc. 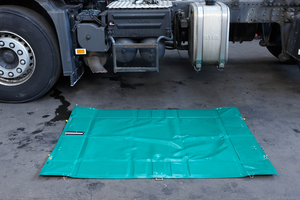 Can also be used as a decontamination sump (FMA.XL2). 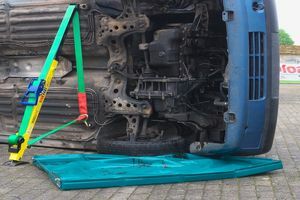 ​​​​​​A level indicator shows the actual volume of liquid in the tank. 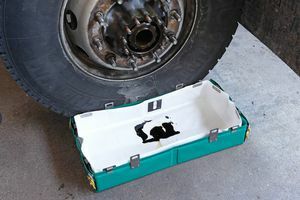 ​​Thanks to the built-in wall reinforcement, the foldable sump remains stable without any auxiliary devices. 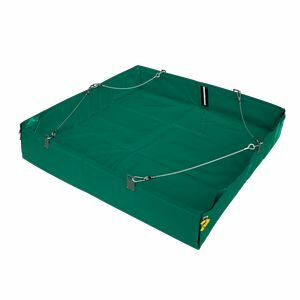 ​​​In an unfolded state, the foldable Multi-Purpose Spill Containment Sump can be used as a very tough groundsheet or as a tarpaulin to cover gullies. 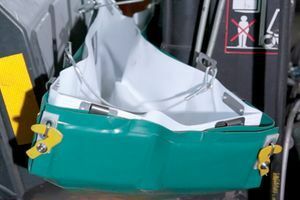 ​​​​​Equipped with steel ropes and carbine hooks, the Multi-Purpose Spill Containment Sump can be moved or transported without any problems when it is full. 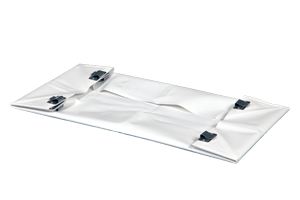 ​​Once folded up, the Multi-Purpose Spill Containment Sump is placed in a well manageable bag, so that it can be carried easily and stored in a space saving way. 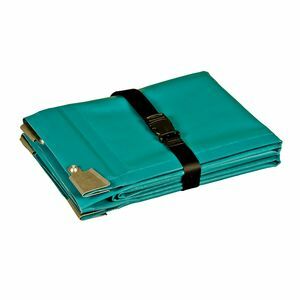 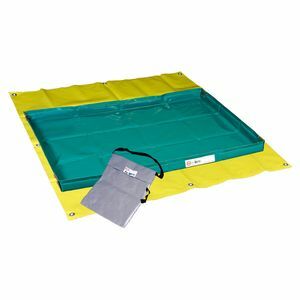 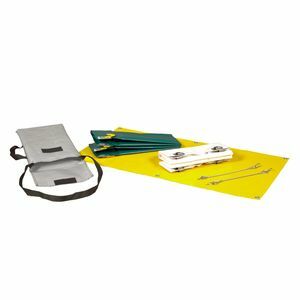 ​For all Multi-Purpose Spill Containment Sumps, bags, protective inlays and groundsheets are available as accessories.